Whether you’re running a busy convenience store or need to perfect your little one’s birthday party, you’ll find all the halal sweets you need here at Premier Selection Sweets Ltd. We opened the doors to our halal sweet company back in 2008, and we’ve already grown to become one of the largest suppliers in the UK. In addition to boasting a huge variety of halal sweets, we also offer exceptionally high-value prices to help you protect your bottom line. We know that being out of stock of any product could hamper your business efforts, which is why we operate a safe, hygienic and modern warehouse that’s fully stocked with all the sweets you need to ensure the continued success of your company. Buy sweets online today from a trusted manufacturer or get in touch with us for more details. We don’t just supply halal sweets to party organisers, stores and businesses across the nation – we also franchise our company to those who either want to supplement their income or make a full-time living. If you’re tired of your career and want a fun and profitable change, then you should enquire about becoming an agent for a leading halal sweet company. 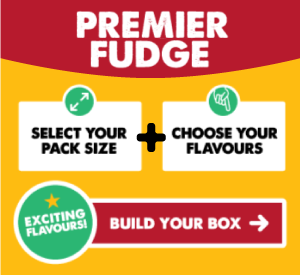 By becoming an agent for Premier Selection Sweets Ltd, you can advertise over 500 confectionary lines, most of which adhere to vegetarian and halal standards. Plus, thanks to our manufacturing process, you can assure your customers that our halal sweets are completely safe and hygienic. Learn more about helping us sell halal sweets online while complementing your income by contacting us today. 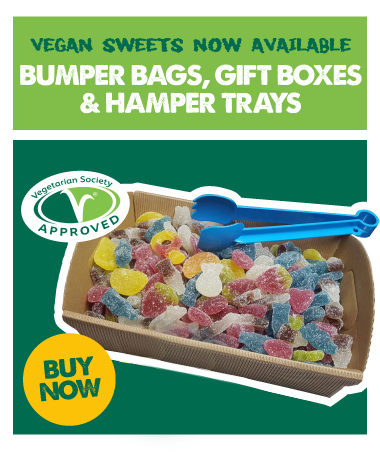 From gummies to sour sweets and mallows to jellies, we have it all here at Premier Selection Sweets Ltd. Plus, in addition to our counter lines, we can also supply mixed bags and bespoke lines to meet your particular requirements. 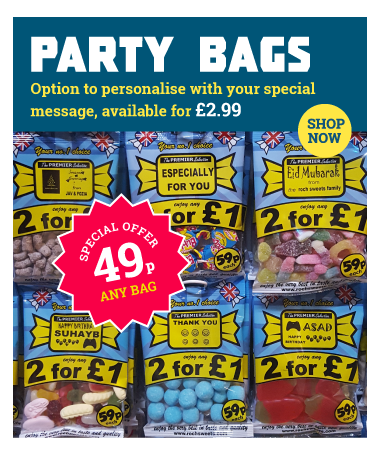 Bulk buy sweets from the UK’s most trusted provider today or call us on 01706 837539 for more information.